Many moons ago, I was involved in several rounds of interviews at the same time. At the end, I had 2 job offers on the table and one flight to Lima. The flight was not directly related to those offers but it was the perfect catalyst for me to ponder and evaluate those options. At the end, I said yes to a fast growing startup based out in Bangalore India. I was going to join HackerEarth. Today I have left the place I called home for almost 2 ½ years and I have many new learnings and skills on my toolbox. The importance to protect the narrative and the vision: HackerEarth has and have a “why” that is ingrained in all the people working there: disrupt the world through technology and help companies deliver value through tech are two simple, yet long lasting things. When you sell a feature you can charge $1, you can charge $10 if you sell a product and you might charge $100 if you sell a company, but when you sell a mission, the price turns into value and it grows exponentially. Props to Sachin and Vivek (the founders) because at all times they inspire and instill the “why” HackerEarth exists. Take controlled risks: Almost one year ago, Sprint -one of HackerEarth’s 2 products- changed completely: from being a hackathon platform, Sprint would be the next innovation go to product to accelerate innovation. A risky bet that changes everything: the industry, competitors, pricing strategy etc. This is something really important, because it means HackerEarth is thinking on the long term and is willing to change the value proposition for one of its products in order to address a pressing pain, across industries and markets. Going international: Easier said than done. During these 2 years I worked exclusively on this. From a B2C2B perspective, I interacted and build relationships with North America, Europe and LatAm. Our community and clients grew everywhere but the effort its on the long term. It's about knowing you are global and not taking the expansion as another strategy. India is a market in which HackerEarth is a truly heavy weight, but outside of Asia, there’s an endless marathon to run. Meaningful work: Now note this, meaningful works -to me- means you do it for “the why”. Not all of my output for HackerEarth was spectacular or had a big impact, but it was always meant to influence our most important kpi’s. I worked directly with top 100 Fortune companies, the best universities in the world and professionals aiming to disrupt their markets through technology, I had the opportunity to try new things, work cross-functionally and take a look at the future. Be bold: Is time for Indian companies to go abroad. Wipro, Tata or Infosys have done it. 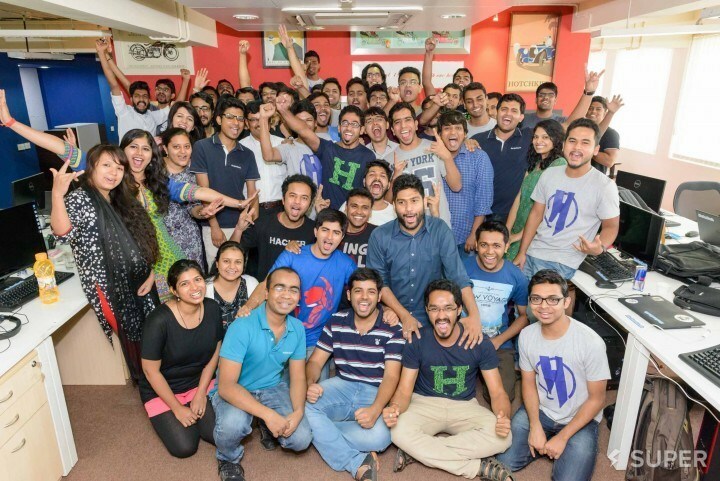 Recently, Flipkart had an amazing exit by being acquired by Walmart and I wish HackerEarth to be the next one. And since I know "wishing" is not good enough, I trust Sachin and Vivek will be sure to make HackerEarth a global company in time. For the future: I wish for strong and steady success. A solid presence abroad, larger revenue from key markets, an all-time high NPS score 😀 and a healthy transition from being a startup powerhouse to a heavyweight global company. It has been a wonderful opportunity and I’m happy I chose HackerEarth. Thank you for all the good times, enhanced me as a professional and always made me feel at home.